April 24, 2019 - Mayor Tom Henry joined Fort Wayne Parks and Recreation Director Steve McDaniel today to announce the 2019 Foellinger Theatre Summer Concert Series lineup. The 2019 concert season features Joan Jett and the Blackhearts, Collective Soul, and Loverboy. April 24, 2019 - Fort Wayne UNITED’s TenPoint Coalition invites the community to join an upcoming Prayer in the Park and two prayer walks in the Oxford neighborhood. The gatherings will begin at Weisser Park Youth Center, 802 Eckart St. Prayer in the Park will be held at 6 p.m. Sunday, April 28. Local pastors will lead prayers on several topics that are impacting Fort Wayne. In addition, there will be prayer walks beginning at 6 p.m. on Monday, April 29 and Tuesday, April 30. Representatives from area churches, the Fort Wayne Police Department and Fort Wayne residents will join the TenPoint Coalition Foot Patrols on their second set of prayer walks, with the intent of bringing the community together to become a more united and understanding city, willing to tackle challenging issues in a positive manner that will lead to lasting results. April 24, 2019 - The City of Fort Wayne’s Summit City Entrepreneur and Enterprise District (SEED) is investing in new business start-ups by offering ten sessions of an eight-week business planning class for anyone considering starting a business. Mayor Tom Henry will visit one of the classes this evening at the Penta Minority Entrepreneurship Center, 2513 South Calhoun. The Mayor will congratulate participants for exploring the idea of starting a business and will also accept a donation to the program from Indiana Michigan Power. The program, called Build Institute Fort Wayne Business Planning Education, is designed to cover the basics of starting a business, including establishing an entity, financial literacy, market research, cash flow, loan types, cost-benefit analyses and more. Participants will meet for three hours once per week for eight weeks for a total of 24 hours of education. In order to make the program accessible to everyone, free childcare and meals are available during the classes. April 23, 2019 - Mayor Tom Henry today joined the Fort Wayne Police Department (FWPD) as leaders with the department presented Officer Phil, an educational safety awareness program, to first-third grade students at Franke Park Elementary School. The Officer Phil program uses innovative and entertaining techniques to teach children about stranger danger, the negative effects of bullying, online safety, and respect for authority figures. The program also encourages positive behavior such as honesty, friendship, civic responsibility, and knowing what to do in an emergency. 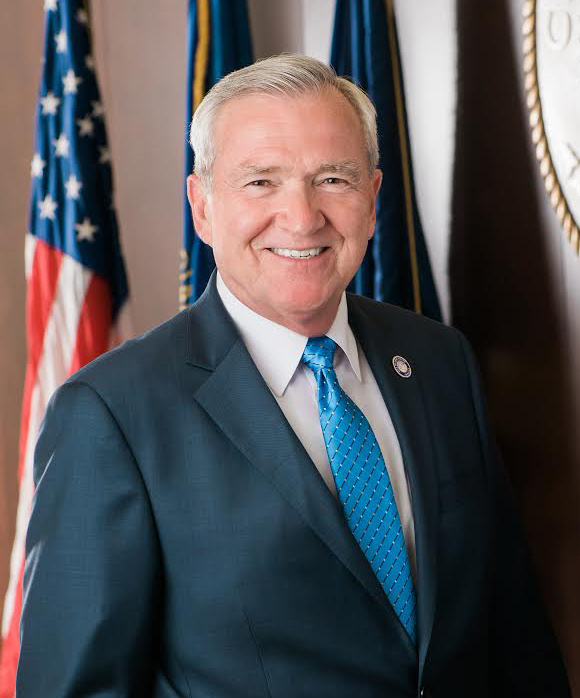 April 23, 2019 - Fort Wayne Mayor Tom Henry today announced that nine local organizations will receive 2019 Commercial Façade Grants to improve their properties. By year’s end, more than 100 facade grant projects will have been completed since the program began. The local businesses whose properties are receiving grants include Antonuccio’s Italian Market and Wine Cellar (4011 S. Wayne St.), Broadway Aquatics (2426 Broadway), Clinton Corner (3506-3510 N. Clinton St.), Fort Wayne Outfitters (1004 Cass St.), Turnstone (3320 N. Clinton St.), Wells Boutique (1420 Wells St.), Wells Center (3674-3678 Wells St.), Wells Street Commercial (1736 Wells St.) and Windrose Urban Farm (1325 Lafayette St.).